The Smithsonian’s National Museum of American History has opened a new display showcasing 50 years of Special Olympics. 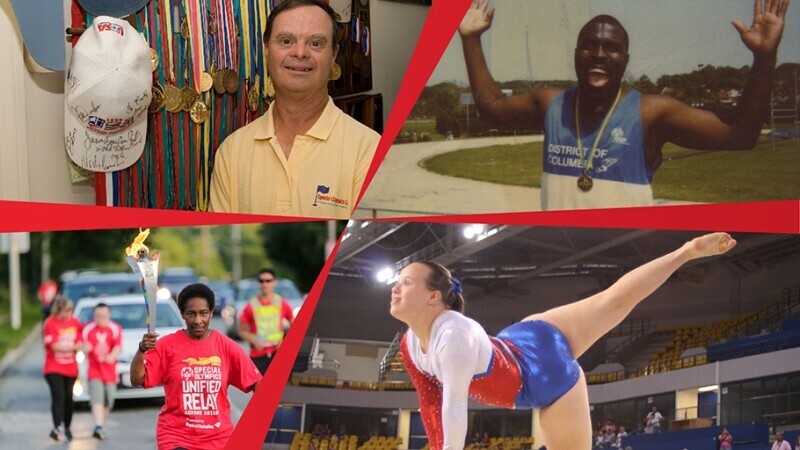 “Special Olympics at 50” celebrates the history of our movement and highlights the lives of four athletes who participated over the decades—from the earliest competitions to today. The display also spotlights founder Eunice Kennedy Shriver. Lee Dockins’ leotard from the 2007 World Summer Games in China and leather grips. The display will also feature 1960s-era training manuals used at Camp Shriver, the innovative summer camp for young people with intellectual disabilities held in Eunice Kennedy Shriver's backyard. These training manuals were donated to Special Olympics by longtime Camp Shriver counselors Ann Hammerbacher Buell and Mary Hammerbacher Manner. The ground-breaking story of Marty Sheets began in 1953—a time when people with intellectual disabilities were routinely institutionalized. Parents were told their children would lead helpless, useless lives. That’s not what happened to Marty. Marty was born prematurely—and spent his first few weeks in an incubator. When he was a toddler, tests revealed Down syndrome, which came as a shock to Marty’s parents. They didn’t know much about Down syndrome; they just emphasized social skills and encouraged Marty to do his best. Sports were always important to young Marty, who enjoyed playing in the backyard, swimming at the neighborhood pool, and waterskiing at the lake. He even wrestled in junior high school. In high school, he also participated in a distributive education program, which led to a 38-year career with a local department store. When Marty was 15, the Kennedy Foundation provided the local Parks and Recreation Department with funds to develop recreational activities for children with intellectual disabilities. Marty got even better at swimming, and in 1968 he and four other athletes were selected to represent North Carolina and the USA in the first International Special Olympics in Chicago, Ill. An illness prevented Marty from competing, but at the post-event banquet he was personally awarded a gold medal by Eunice Kennedy Shriver. Over the years, Marty became a highly decorated Special Olympics athlete, winning 250 medals—including seven at World Games. He competed in golf, powerlifting, swimming, tennis and skiing. When Special Olympics held its first International Winter Games in 1977, Marty traveled to Steamboat Springs, Colo., to compete in skiing. He won a pair of bronze medals and had a chance to ski with the legendary Billy Kidd. At the 1991 World Games in Minneapolis, Marty won two bronze medals in powerlifting, met boxer Evander Holyfield and was featured on ABC’s “Wide World of Sports.” A few years later, he and his parents were invited to join President Clinton and his wife Hillary during Opening Ceremony of the 1995 World Summer Games. Marty was a frequent speaker at major events before and during the 1999 Special Olympics World Games in Raleigh, N.C. As a member of the Special Olympics North America Golf Committee, Marty traveled all over the USA attending events, recruiting volunteers, and representing the Special Olympics cause. His example and service to the community were an inspiration to many. When Marty died in May 2015, his life and accomplishments were celebrated in The New York Times. Los Angeles Times and other major newspapers—possibly the first such nationwide coverage of the life of a person with intellectual disabilities. Ricardo was abandoned as a child and spent his first decades at Forest Haven, Washington, D.C.’s institution for people with intellectual disabilities. Ricardo grew up isolated from the world at a time when the idea of a normal, independent life for someone with ID seemed like an impossible dream. But Ricardo was always determined to rise above circumstances. (Forest Haven was later closed after longtime reports of abuse and several unexplained deaths). As a youngster, he was offered the opportunity to take part in Special Olympics. For the first time, he began to see he could be successful—and so did the people around him. His skills began to grow. Even his family heard about Ricardo’s progress and began to visit him after a lengthy absence. Over the years, Ricardo has competed in sports such as tennis, bowling, basketball, volleyball, bocce, and track & field. His confidence soared and so did his dreams. Eventually, Ricardo moved out of Forest Haven—and did something almost completely unexpected for people with intellectual disabilities: he got married. He married his sweetheart, Donna, who had also grown up at the institution. At that time, people with disabilities were wards of the government—and not permitted to marry. Eventually, Ricardo and Donna prevailed, breaking new ground for the rights of people with intellectual disabilities. Ricardo has lived an independent life of accomplishment, including a career working at the main branch of the D.C. public library. His inspiring story was featured on the CBS show “60 Minutes” and later made into a TV movie ("Profoundly Normal," starring Delroy Lindo and Kirstie Alley). Ricardo has become a role model in his hometown, where he’s been named “Washingtonian of the Year.” He has been a leader in Project ACTION and testified numerous times before Senate and other hearings. He’s also made an impact representing Special Olympics in media appearances and speaking engagements around the U.S., Europe and Africa. Most recently, Ricardo received a presidential appointment to the President’s Committee for People with Intellectual Disabilities. The panel was established in 1966, but traces its beginnings to legislation advocated by President Kennedy and advisory committee member Eunice Kennedy Shriver. Ricardo and Donna are both still very much involved in Special Olympics and have a son, Ricky. Special Olympics athlete Loretta Claiborne is a world-class competitor and one of the most inspirational and remarkable women of our time. For Loretta Claiborne, Special Olympics revealed the champion within—even after many years of having her talents and abilities denied and ignored by others. Loretta did not talk or walk until the age of 4; she was later diagnosed with intellectual disabilities. As one of seven children born to a single mother, the odds were stacked against her. Doctors advised the family to put Loretta, who is also partially blind, into an institution. Loretta’s mother refused. When Loretta went to school, she was taunted and bullied so much, she tried to fight back—or just used her feet to simply run away. 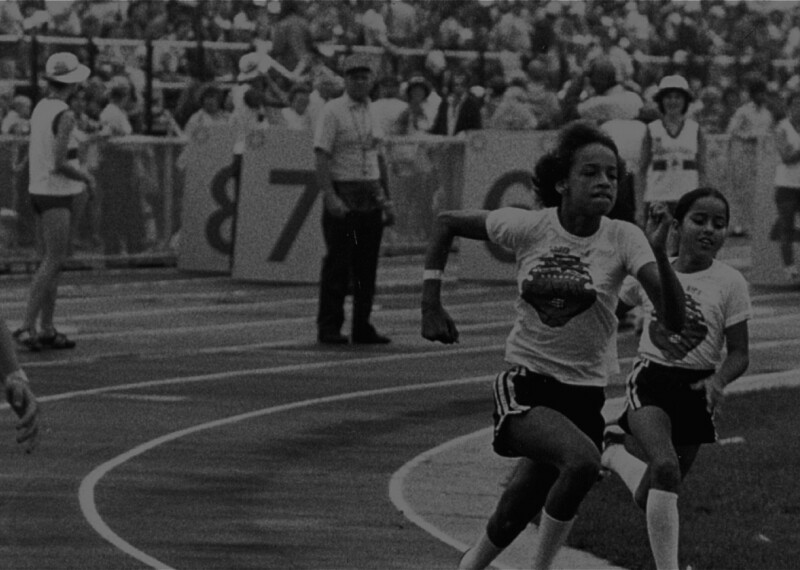 In 1970, Loretta found Special Olympics; her anger, athletic energy and her gifts found an outlet. She soon began to excel as both a world-class runner and an advocate for people with intellectual disabilities. Today, Loretta is one of the most accomplished and celebrated of all Special Olympics athletes. She has competed in more than 26 marathons, finishing with the fastest 25 women runners in the Pittsburgh Marathon and twice with the top-100 runners in the Boston Marathon. She won gold medals in the 1991 and 1999 Special Olympics World Games half-marathon. Loretta holds honorary doctorates from Villanova University and Quinnipiac College, speaks five languages, earned a black belt in karate, and was honored with the Arthur Ashe Courage Award. She is a member of the Special Olympics International Board of Directors. Loretta continues to change the way the world views people with intellectual disabilities (ID). Before it was publicly acceptable to advocate for people with ID, she courageously championed them and spoke out, bringing light to the horrible injustices that this population faces all over the world. Loretta set out to change attitudes, one person by one person, demonstrating the benefit of inclusive and accepting communities and how the world is a better place when every person is given the opportunity to reach their full potential. Loretta’s courage has changed the course of history for people with ID and is helping give them their rightful place in society. Her story is so powerful that in 2000, Disney produced a movie called “The Loretta Claiborne Story” about her strength and triumph. In 2001 she was among speakers who testified to the U.S. Senate Committee on Appropriations on the health status and needs of persons with intellectual disabilities. During the hearing, Loretta stopped reading her testimony midway through to speak in heartfelt words about her own struggle to get quality medical care and her current situation at the time where she could not secure surgical treatment for her injured knee because of her disabilities and her health care provider’s disregard for her situation. The testimony led to a Surgeon General’s call to action to bridge the gap in health disparities for people with intellectual disabilities. In September 2013, Loretta joined a roundtable discussion during the United Nations General Assembly High Level Meeting on Disability and addressed the gathering of high-level world leaders, calling on them to truly ‘see’ people with intellectual disabilities and recognize that they can contribute and achieve in society if given access to basic services. She uses the power of sport to create social change and inclusion and to promote development and peace. At the age of 50, after being an accomplished runner, Loretta learned to figure skate, eventually competing in her first Special Olympics World Winter Games. Loretta has used the power of sport to instill discipline and self-worth and taught us that adversity means nothing if you are able to step outside of your comfort zone. Born with Down syndrome, Lee has been competing since she was 8 years old. At the 2015 World Games, she earned gold medals in balance beam, floor and all-around, a bronze medal for uneven bars and a fourth-place ribbon on vault. She also made Sports Illustrated’s Special Olympics feature pages. It comes as no surprise then that as soon as Lee was home from the 2015 World Games, she was back in the gym training for her next competition. Lee competed in artistic gymnastics at the 2007 World Summer Games in Shanghai; the 2011 World Games in Athens; and the 2015 Games in Los Angeles. She competed in artistic gymnastics at the first USA Games in Ames, Iowa, and the 2014 Games in New Jersey. Lee has been training throughout 2018 along with teammates named to Kentucky's team competing at the 2018 USA Games. The Smithsonian’s National Museum of American History’s “Special Olympics at 50” display will be open from July 2018 – June 2019. Visitors will have the chance to experience the games through activities that include by jumping between agility lines and seeing the height of the uneven parallel bars. Through incomparable collections, rigorous research and dynamic public outreach, the National Museum of American History explores the infinite richness and complexity of American history. It helps people understand the past in order to make sense of the present and shape a more humane future. The museum is located on Constitution Avenue N.W., between 12th and 14th Streets, and is open daily from 10 a.m. to 5:30 p.m. (closed Dec. 25). Admission is free. For more information, visit http://americanhistory.si.edu. Or call (202) 633-1000. Ricardo Thornton survived the notorious Forest Haven institution (outside of Washington, DC), a place he describes as a prison for people with intellectual disabilities. 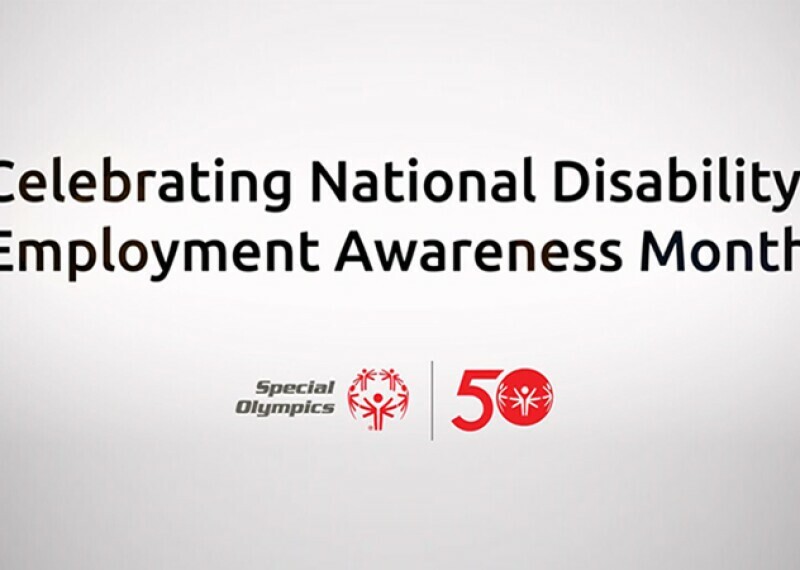 Loretta Claiborne, Vice Chair of the Special Olympics International Board of Directors, shares this video message in honor of National Disability Employee Awareness Month.